In the era of extravagant ballpark tastings, Major League Baseball teams are constantly looking for new ways to satiate their diverse fan bases. Long gone are the days when peanuts and Cracker Jacks were enough to keep bellies full, and butts in the seats. From the Astros’ Chicken Waffle Cone, to the D-Backs’ Churro Dog, teams continue to find new ways to get fans out to the ballpark, and keep them happy once they’re there. 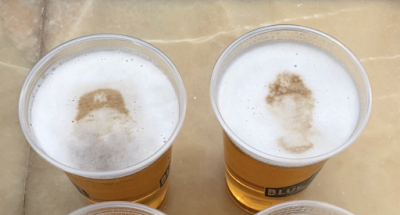 Last Monday, the Yankees held a media tasting event to roll out their new offerings for the 2018 season, which included a machine that imprints player faces onto beer foam (if you’re going to pay $15 for a beer, why not have Aaron Judge’s likeness on it, right?). A novel idea, to be sure, but that did not stop MLB from putting the kibosh on the whole plan, once again exposing the league’s hypocrisy when it comes to alcohol. This argument must be prefaced by saying that I do not support the idea of advertising alcohol to children, and that is the issue as MLB sees it. The league has a longstanding rule that players may not advertise or promote alcohol. On the face, this rule makes sense. Kids look up to ball players; they shape their batting stance, pitching wind-up, and even the way they spit around how their favorite pros do it. Children are creatures of imitation, so it stands to reason that if they see their favorite player associated with beer, they’ll want one, too. The reasoning is sound, but it must call into question the nearly 40-year long relationship MLB has with Anheuser-Busch, the exclusive beer sponsor of baseball. The deal between MLB and Anheuser-Busch, which is set to expire at the end of the 2018 season, is not your average sponsorship deal. Along with being the official beer of MLB (which alone entails that Anheuser’s famous Budweiser logo is used on almost everything promoted by MLB), Anheuser-Busch sponsors MLB Opening Week, the AL and NL Player of the Month Awards, and is the presenting sponsor of both Wild Card Playoff games. This deal grants the alcohol-producer vast amounts of public exposure through the game of baseball, all while MLB rakes in the profits. So why, then, is it only an issue when it’s the players who want to see a piece of that pie? When you consider MLB’s relationship with the beer-giant, you have to infer their logic. What the league’s recent decision regarding the Yankees’ beer foam says is that they believe kids are more likely to drink alcohol if their favorite players promote it, but not if the league itself promotes it. This line of thinking is hard to wrap one’s head around, and it’s even harder to believe that this is being done in good faith. The argument against promoting alcohol to children is strong, but the argument that MLB’s relationship with Anheuser-Busch isn’t influencing children? Not so much. The league’s hypocrisy on alcohol is not the only public health issue where MLB has been less than consistent in its messaging. It is no secret that ballplayers like their tobacco, too. 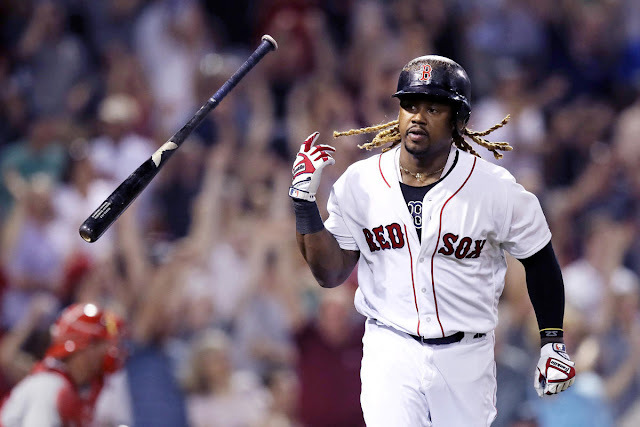 Chewing it, dipping it, smoking it (looking at you, Yoenis Cespedes); MLB players have long been associated with the cash crop that America was built on. In fairness, MLB has taken some big steps to ensure that tobacco use in the game is reduced. 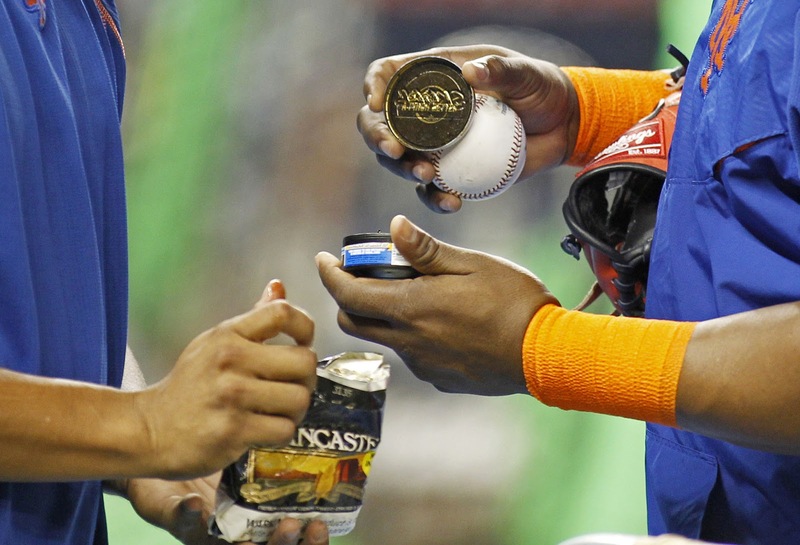 There has been a ban on smokeless tobacco in Minor League Baseball since the early 1990’s, and, as part of the league’s Collective Bargaining Agreement in 2016, all new major leaguers are banned from using smokeless tobacco while on the field (players at the MLB ranks prior to the CBA were grandfathered in and are permitted to use smokeless tobacco). This all sounds well and good, but to say these measures have been ineffective is an understatement. Turn on any game this season, and it is almost a guarantee that you will see some advertising for brands like Skoal, Grizzly, and Red Man. This advertising, of course, is not done in an official capacity (tobacco ads on television have been banned since 1971). Instead, these ads come from close-ups of the pitcher’s face as he looks in for the sign, or of the batter as he awaits the next offering. Now, you may be thinking, “Sure, but this is a gradual process. Eventually, tobacco will be out of the game all together.” This is sound logic, but I implore you to test it by attending a Minor League Baseball game this season and taking note of how many players ignore the ban that has been in place for nearly 30 years. What are the consequences? There rarely are any. Why? When the final line of defense is the umpires, a majority of whom also take part in a nicotine-habit, there isn’t much actual policing going on. So why hasn’t MLB done more to stop the problem? Possibly, because there isn’t much sense in throwing resources at a problem that has already gained the league some good press for its efforts to this point. The tobacco issue in MiLB sums up what MLB’s response to tobacco abuse among players has been: all talk, no walk. 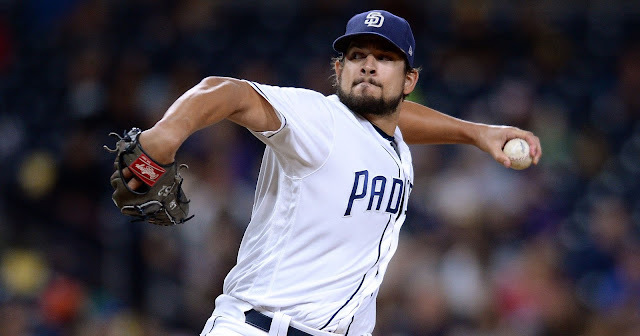 While MLB may not directly profit off of tobacco, like they do alcohol, it does raise the question of how far MLB is willing to go for the public interest. I would imagine it’s a near unanimous consensus that businesses should not be promoting tobacco use to anyone, let alone children. So why, then, has MLB’s response to tobacco been so lackluster and ineffective? Is it that they are at the will of the players and the MLBPA, or is it that the resources put into curbing tobacco use could better be used elsewhere (somewhere there is money to be made)? After all, whether players stop using tobacco or not, MLB already has the good press from the substance of the 2016 CBA. 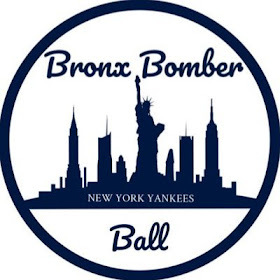 Similarly, MLB comes out looking like a champion for kid’s health when they tell the Yankees, “No players on your beer,” but until they themselves stop promoting alcohol, it looks like nothing more than a hollow gesture meant to give the league some good P.R. at the expense of their players.